Parsa District (Nepali: पर्सा जिल्ला Listen (help·info), a part of Province No. 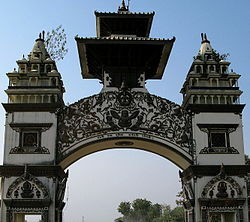 2 in Terai plain, is one of the seventy-seven districts of Nepal. The district, with Birganj as its district headquarters, covers an area of 1,353 km² and has a population (2001) of 497,219. According to the locals, Parsa is named after Parsagadhi temple situated in the district. 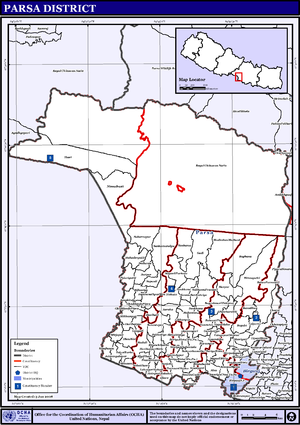 Wikimedia Commons has media related to Parsa District.